After the 2018 season, the Carolina Panthers were one of only three teams in the NFL who hadn’t played in London. That’s about to change as the NFL announced Monday that the Carolina Panthers will be heading to London to face off with the Tampa Bay Buccaneers during the 2019 season – they’ll be playing at either Wembley Stadium or the yet-to-be-completed Tottenham Hotspur Stadium. This will mark the first time in franchise history that the team will play outside of the United States; the league has played 24 games in England since they started the international program in 2007. The entirety of the UK series in 2018 – and 19 of the 24 games played in London – have been in October. Wembley Stadium hosted three consecutive sell-out games, including a record-breaking 85,870 for an October victory for the Philadelphia Eagles over the Jacksonville Jaguars; in 2019, the league elected to add an additional game, bringing the grand total to four – they will play two of them at the brand-new Tottenham Hotspur Stadium in the upcoming season; the Seahawks and Raiders were slated to play at Hotspur stadium in October of 2018, but that contest was moved to Wembley after construction was delayed. The game in London will certainly hold special meaning for Efe Obada, who was raised in Stockwell and Lambeth and played on the American Football London Warriors – his first time playing football at any level – in 2014 before spending time on the practice squads of the Cowboys and Falcon, then landing with the Panthers as part of their International Pathways Program; Obada was the first player in the history of the program to make a 53-man roster and won NFC Defensive Player of the Week during the 2018 season. The Panthers will not lose a home game as Tampa Bay is considered the home team for the game in London; the Panthers split the season series with the Bucs in 2018, winning 42-28 at home but losing at Raymond James Stadium as a part of their seven-game losing streak. All three of the winning teams during the U.K. series last season – the Chargers, Seahawks and Eagles – made the playoffs in 2018. The other games will be the Bears vs. Raiders, Bengals vs. Rams and no London slate would be complete without the Jaguars, who will be “hosting” the Texans. 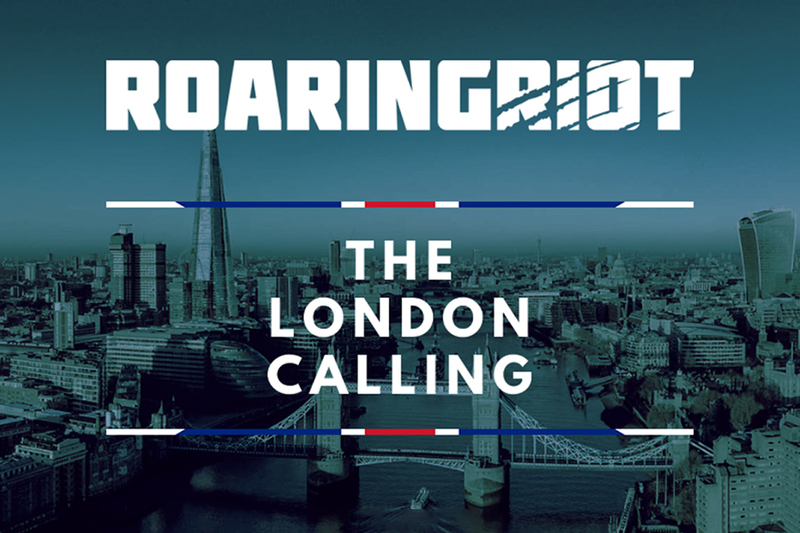 Tickets are slated to go on sale after official dates and times are announced, which is usually in April – however, you can secure your spot with the Roaring Riot for their all-inclusive ‘The London Calling’ Away Game Experience here – if you’re a member.